The premium starter kit Young Living offers is a great product. But the challenge isn’t getting people to want it: it’s getting people to know about it and buy it from you. That means you need an all-star web presence. Social media, web design, and graphic design are all going to play a major role in selling your starter kit. It may seem complicated, but it’s the only way to get a sale. If you follow these awesome tips, you should be selling starter kits in no time. Young Living’s Premium Starter Kit is a great value. If you can’t communicate that to your customers, they may not understand that it is entirely worth it. Visuals have a quick and powerful impact on the human mind. They are vital for salespeople or marketers looking to catch the eye of a scrolling customer. There are a few ways to take advantage of graphics to make a killer sales pitch. You can put together an attractive pitch of the premium starter kit Young Living sells. This will let people know exactly what’s in it, and how it looks when opened. You can also use visual storytelling mediums. These can include how-to guides, which will give people an idea of what owning the kit will be like. Even something as simple as a meme can give people a fun and catchy visual that will have them flocking to you. So make sure you have some high-quality graphics when you sell your starter kit. Social media is the most common way to interact with the Internet today. People spend nearly an hour per day on platforms like Facebook. Catching the attention of your Facebook friends while they scroll can be vital to selling products online. You’ll also want to use targeted advertising to sell products. Facebook has one of the best private advertising systems in the world. This means you’ll be able to set up ads targeting whoever the ideal customer of the Young Living kit you’re selling is. For instance, if you’re selling the premium starter kit Young Living makes for military bases, you can target military personnel interested in similar products. If you think certain people would be disinterested in Young Living Products, you can exclude them from your ads. When you set up a sales page (which is different than your individual profile,) on Facebook, you may get messages from customers. Make sure you respond to those messages frequently and in a timely fashion. If your customers feel listened to, they’ll be more likely to buy the premium starter kits Young Living offers from you. Facebook is great, but don’t limit your social media presence to it. Twitter can be a great way to get a quick word out. If you’re offering any sort of special or promotion, Snapchat can be an incredibly effective way to alert fans and customers to that fact. Instagram is the best way to turn cool graphics into new customers. Be sure to include buttons for all of these social media platforms on your website. Doing this will turn your customers into salespeople. Your social media presence is incredibly important. But in the quest for a good social media set up, marketers forget that your website is still your window to the Internet. A bad website can run your sales into the ground. The premium starter kit Young Living offers is anything but dated. However, having a website that looks like it came out in 2006 will make it impossible to sell kits. Having a high-quality website is a great way to have people not just buy starter kits. It can also ensure that they buy them specifically from your store. Setting up a strong e-commerce site means setting up something that’s user-friendly. Make your website a place that people look forward to using when in need of a refill on Young Living products. It also helps to make sure your site follows modern design convention. 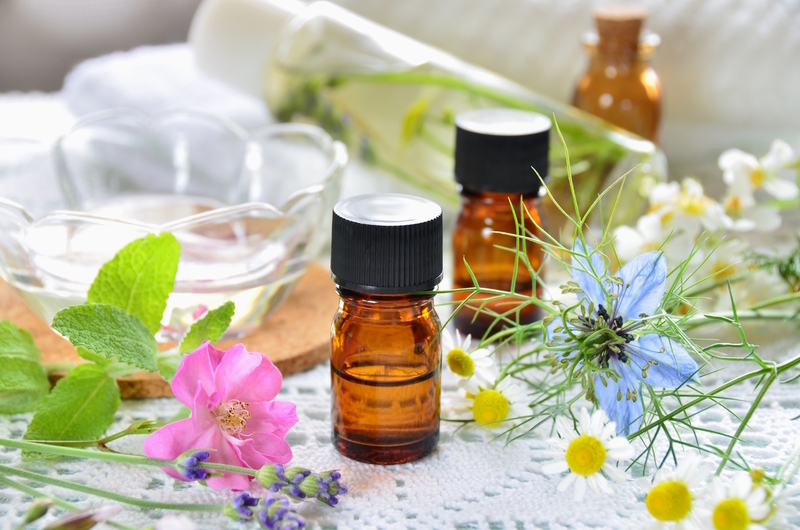 Looking at other e-commerce sites, both for Young Living products and totally unrelated ones, is a great way to get an idea of what your website should look like. Make sure you update your site every couple of years so it fits stylistic conventions. But don’t mistake fitting the modern look for being generic. Have a website that is unique and stylish to sell premium starter kits Young Living gives you. And if you don’t have a site, start one today. Selling the premium starter kit Young Living makes should be easy. It’s filled with great products and should sell themselves to people interested in the sale of oil. But when you do this, you aren’t just competing with the starter kits of other companies. You’re competing with the starter kits of other Young Living salespeople. That means you can’t just be good at selling products online. You have to be the best. The premium starter kit Young Living offers is as easy a sell as there can be today, but you need to be the top salesperson for the job. You need to take advantage of visuals. Their effect on the human mind and ability to catch the eye of customers instantly is second-to-none. You’ll also need a diverse social media presence. Doing this will let you both keep in touch with current customers and find new customers. When you set up your social media pages, make sure you don’t focus too much on any one platform. Your customers are all over the web. The most important thing you can do is have a strong e-commerce site. The premium starter kit Young Living offers will be easy to sell on sites where buying them is a genuine pleasure. Now that you know what to do, your next step is thinking more deeply about how to go about these tasks. Contact us for helpful information about selling starter kits online.